China is set to outpace much of the rest of the world by 2020 and become the world’s second-largest wine market. A key driving force may be e-commerce, according to private bank Julius Baer’s Wealth Report: Asia Luxury Wine Feature, released in May. According to Deloitte China’s Luxury E-Commerce White Paper 2017, which looked at China’s luxury spending habits, the nation ranked as the world’s second-largest luxury market in 2016, just behind the United States, with a total sales volume of CNY498.3 billion. It also shed light on the booming success of e-commerce in China. The paper found 10% of total wine purchases in 2016 were made online. This is not surprising – China is home to online market giants JD.com, Tencent and Alibaba. Baidu, Alibaba and Tencent (BAT) are China’s three major internet companies, but new internet and e-commerce companies are still emerging and growing. Social commerce company Pinduoduo just went public on the Nasdaq Stock Exchange, making Founder Colin Huang, a factory worker’s son, China’s youngest self-made billionaire with a net worth of USD9.89 billion, according to Bloomberg’s billionaire index. Pinduoduo, now worth some USD21.1 billion, is 38 year-old Huang’s fourth company, after a string of successful previous ventures. Like Alibaba Group’s Taobao e-commerce platform, Pinduoduo allows merchants to sell items such as women’s fashion, fresh fruit and vegetables, and even electronics. The difference is that users who click on a Pinduoduo listing will be able to get the product at a cheaper price if they convince some of their friends to buy the product too in a “group buy” deal. The social commerce model is part of the social+ model often adopted by internet companies in China, where business and social aspects are blended together to appeal to Chinese users, according to the China Internet Report co-authored by the South China Morning Post, Abacus and 500 Start-ups. The meteoric rise of social commerce company Pinduoduo in China’s trillion-dollar e-commerce market has taken many by surprise, since the industry has long been dominated by incumbents Alibaba and JD.com. Within just three years, Pinduoduo has reached some 300 million consumers and racked up gross merchandise volumes of over CNY140 billion in 2017, making it the third-largest e-commerce company in China by sales numbers. Huang was born in 1980 to factory worker parents on the outskirts of Hangzhou, the city that is home to China’s e-commerce giant Alibaba. He graduated from the Hangzhou Foreign Languages School, an elite high school in Zhejiang province, were he was exposed to western culture and influence. He went on to study computer science at Zhejiang University and the University of Wisconsin in the U.S. He turned down job offers from Oracle, Microsoft and IBM to apply for a job at Google in 2004. In the three years that Huang was an engineer at Google, his stock options gave him what he called “basic financial freedom”. Huang moved back to China in 2006, and set up e-commerce site Ouku that sold consumer electronics and home appliances. 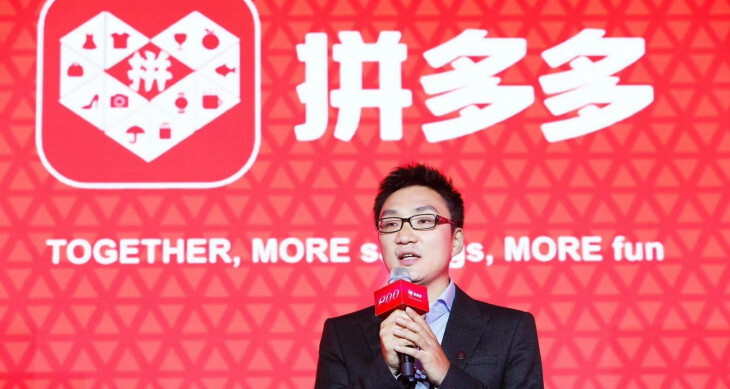 He sold the venture in 2010, then started his second company Leqi, which helped foreign brands market their stores on popular e-commerce platforms like Tmall and JD.com. His third company was a gaming studio called Xunmeng that created web-based role-playing games. By the time Huang launched Pinduoduo in 2015, the e-commerce space in China was already dominated by Alibaba and JD.com, but this did not deter Huang, the South China Morning Post reports.